Dr. Adam Feinberg is an Associate Professor in the Departments of Biomedical Engineering and Materials Science and Engineering at Carnegie Mellon University (CMU). He is also the principal investigator of the Regenerative Biomaterials and Therapeutics Group. His group develops materials-based, engineering strategies to control the self-organization and assembly of various cell types into tissues. Feinberg earned his Bachelor of Science in Materials Science and Engineering, with an option in bioengineering, from Cornell University with co-op experience working on total artificial hearts, followed by his MS and PhD in Biomedical Engineering from the University of Florida. He completed his postdoctoral training at Harvard University in the School of Engineering and Applied Sciences, where he developed new biomaterials and cardiac tissue engineering strategies for 3-dimensional myocardial regeneration, with a focus on stem cell-based approaches. Feinberg joined CMU in the fall of 2010 as an Assistant Professor with joint appointments in Biomedical Engineering and Materials Science and Engineering. Feinberg currently holds 10 US patents and patent applications, has authored numerous publications, made over 50 presentations, and is a member of the Materials Research Society, American Chemical Society, Society for Biomaterials, Biophysical Society, Biomedical Engineering Society, and the American Heart Association. 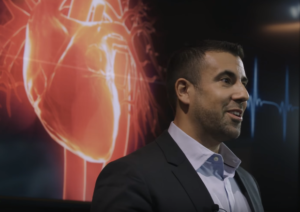 A globally recognized and sought after speaker on 3D bioprinting, Feinberg has testified before Congress, presented at the 47th World Economic Forum Annual Meeting, has spoken at various conferences and has been featured in numerous media outlets.